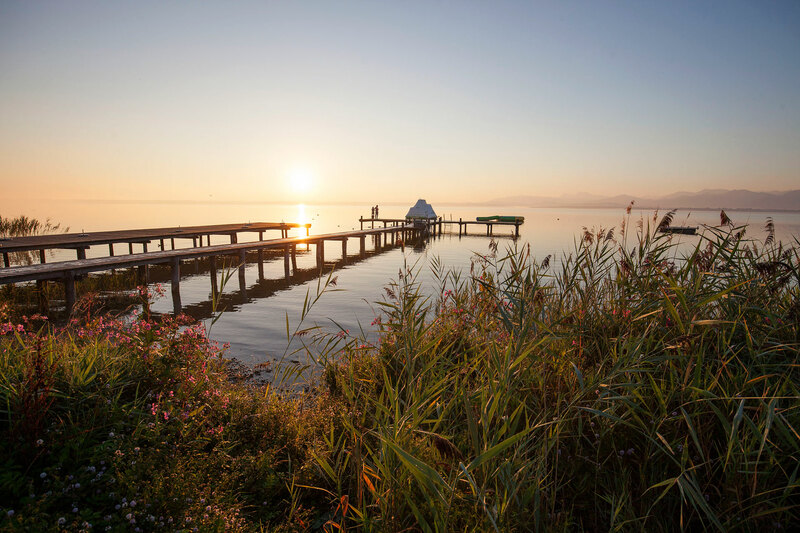 The municipality of Gstadt a. Chiemsee is a corporation under public law. Please note that our terms & conditions/guest accommodation conditions apply when booking accommodation using our online accommodation search/list of hosts. The author and operator of this web portal assume no responsibility for the currentness, correctness, completeness or quality of the information presented. Liability claims against the author, with respect to material or non-material damages which are caused by the use or non-use of the information presented, or by the use of erroneous or incomplete information, are fundamentally excluded, in so far as the author is not demonstrably guilty of premeditated or gross negligence. All content and offers are non-binding and subject to confirmation. The author expressly reserves the right to alter, supplement, delete, or to cease publication, either temporarily or permanently, of the site, either in part or in its entirety, without provision of any special notice. The copyright of published objects created by the author him-/herself, remains solely the property of the pages in question. Any duplication or use of such graphics, audio files, video sequences and texts in other electronic or printed publications, is not permitted without the expressed agreement of the author. In spite of painstaking internal controls, we accept no responsibility for the content of external links. Exclusive responsibility for linked pages lies with the operator of said pages: With respect to direct or indirect links to sites which are outside the author’s realm of responsibility, the author is only liable in so far as he/she is aware of the content in question and that it was technically possible and reasonable for him/her to prevent use in the event of illegal content. For any content beyond this, and especially for damages which are incurred due to the use or non-use of information presented in such a format, it is solely the provider of the site to whom the link was placed who bears liability, and not the person who had merely placed the link to the publication in question. This restriction applies equally to third-party entries in guestbooks, discussion forums and mailing lists which have been established by the author. Should any part or parts of this text not or no longer comply with current legislation, either wholly or partly, the validity and content of the rest of the document remain unaffected by this.